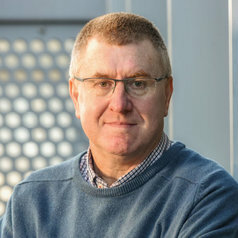 Professor Gordon Brown’s primary research area is innate immunity, with particular emphasis on C-type lectin receptors and their role in antimicrobial immunity and homeostasis. Much of his earlier work has revolved around studying the functions of the C-type lectin Dectin-1, a receptor for beta-glucan carbohydrates that plays a key role in anti-fungal immunity. Dectin-1, and subsequently other C-type lectins, were found to be able to mediate numerous cellular responses, to trigger intracellular signalling through novel pathways, and to modulate and directly induce innate and adaptive immune responses. His current research continues to explore the roles and functions of C-type lectins as well as their involvement in antifungal immunity. He is a member of the Aberdeen Fungal Group (AFG). He is also an adjunct member of the Institute of Infectious Diseases and Molecular Medicine ( at the University of Cape Town), where he maintains a small research group focussing on innate anti-mycobacterial immunity. To recognise infection, the immune system utilizes sensors on immune cells called “pattern recognition receptors” which detect invading pathogens. These sensors then trigger a number of responses which are aimed at providing protection against the infection. Our group is focussed on understanding a particular group of these pathogen sensors, called the C-type lectins (CLRs), which stemmed from our discovery of the first receptor in this class, Dectin-1.